Hi lovelies! 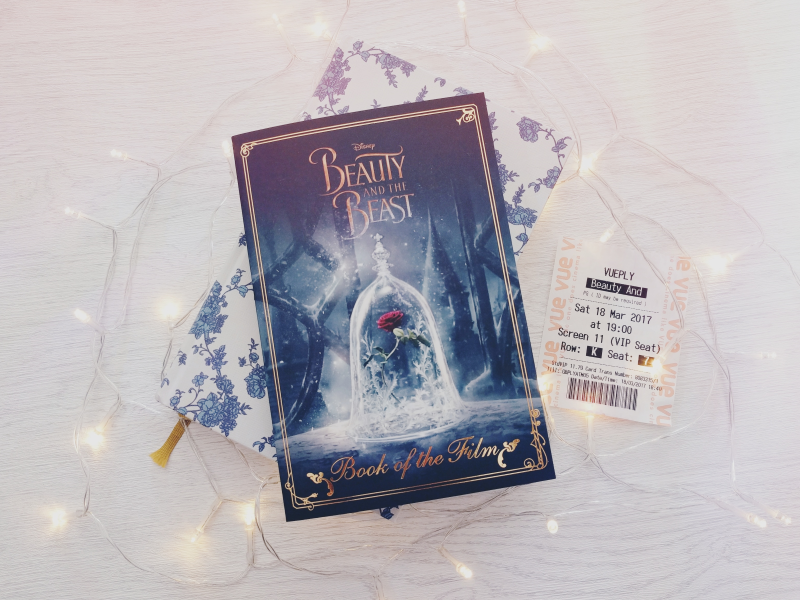 I saw the live action Beauty and the Beast last week and while I've got a lot of thoughts on it, I still feel like I can't write reviews yet haha, so I decided I'd do a post sharing a few thoughts I had on the film instead! Just a warning before we begin, this post does contain spoilers for this film so if you haven't seen it yet you might want to read this post later! 1. First and foremost, I loved it! I actually saw it the day after it came out and I was a bit worried that from all the positive feedback from the Disney community and my own expectations that I would be disappointed but I really did love it! 2. I love the extra details they added in. The thing that excites me the most about Disney's live action re-tellings of their classic animated films is that they're able to update and re-imagine their classic stories so I was glad to see while although they did remain largely faithful to the story from the animated film, they did add in some extra details. My favourites had to be the opening scene as we got to see a little more of the Beast's self-absorption before he was cursed, and the Paris scene! I loved the idea of the Enchantress's book, I think it worked so well and it was so lovely to see Belle have more of a backstory. 3. Days In The Sun is easily one of my favourite Disney songs ever now. I'm so glad I didn't listen to the soundtrack before I saw the film because this song completely took me by surprise! I've been listening to it over and over ever since I left the cinema! 4. The costumes certainly did not disappoint. Back last year I did a post on the 5 things I was most excited about with this film and one of them was the costumes and I was honestly so impressed with them! All of Belle's outfits were so gorgeous and I especially loved her provincial dress... So much so that I've already done a DisneyBound of it! 5. Emma Watson played Belle perfectly. If I could have done my own fan casting of who I would have to play Belle in a live action Beauty and the Beast it would always have been Emma Watson for me and I think she fit the role so well. I know a lot of people were worried about her being cast as Belle but I'm glad to see that most have changed their minds now they've seen the film. 6. The development of Belle and the Beast's relationship was a lot better. One of the problems I've always had with the animated film is that I thought the romance between Belle and the Beast was a bit rushed. However the live action film fixed this perfectly. Although it was only a few extra details, they provided more insight into how Belle and the Beast changed their feelings towards each other which made it a lot more believable for me. When the Beast sees that Belle has come back from him in the penultimate scene in the film, oh my gosh... My heart just broke with happiness for him! I was definitely more emotionally invested than their relationship in the animated film. 7. And finally, I preferred it to the animated Beauty and the Beast. I know, I'm sure I'm committing the ultimate Disney sin here haha, but as I've said all along, I've never been the biggest fan of the animated Beauty and the Beast. I've always liked it but I wasn't really overly-keen on Belle or her relationship development with the Beast. However as the live action film fixed these issues for me and added in so many great new features, I'll definitely be reaching for the DVD of this film in future over the animated one! What do you guys think? Do you agree with me or did you feel differently? Let me know what you thought of the film! Reading this makes me want to rush out and see this so much more! haha Can't wait to finally see it!